A series of images by Chris Nelson, featuring Wales' central coast. Like many areas of Britain, mid-Wales does not suffer from a lack of quality setups and frothing surfers but it rarely gets the swell it needs. 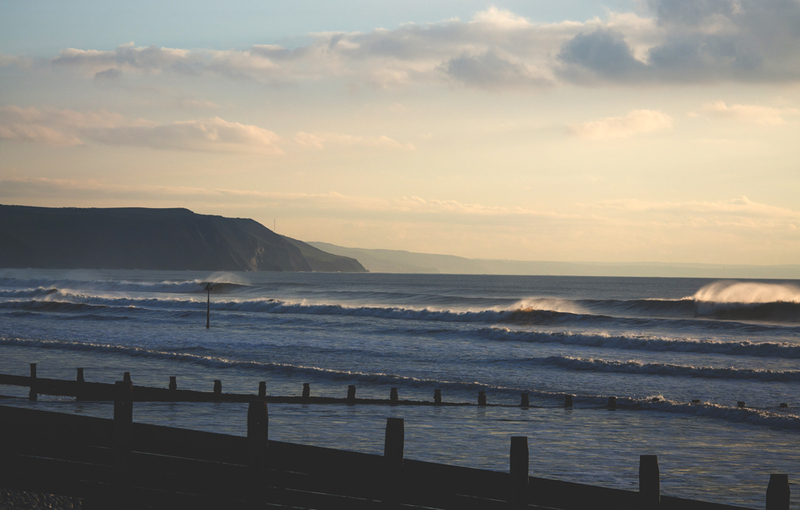 There are long stretches of beach, littered with fun, manageable peaks, backed by long rolling dunes which morph into towering cliffs, and boulder reefs as you head south past Borth, however blown out wind swell is a common sight, particularly out of storm season. We recently caught up with local surfer and photographer Chris Nelson to find out more about surfing in the area and see some images from those rare classic days. Tell me a little bit about your background and how you got into shooting? I grew up in two places. One was our family home in a little village in the heart of the Cambrian Mountains and then every school holidays or weekends, we spent at my grandmothers’ old peoples home around 500 meters from the sea, which I didn’t mind one bit! I have always been interested in any form of creativity but could never afford a camera, so always drew or painted, until I had enough money to start taking photos and telling little stories through my photography. Surf photography came a little later in life when I realised that I could combine both my passions, and like surfing, i could lose myself in the journey of creating a good image and story. What are the waves like in your part of wales? The waves at my local break are so fickle that it takes years to actually get any good at surfing. Unless you love wind chop and a report that says 2-3 foot and offshore, when really it will be 1 foot at best and cross-shore mush. On it’s day though you wouldn’t want to be anywhere else. What’s your favourite thing about shooting there? Part of the thrill for me shooting here is you don’t know what is going to be happening as you run over the pebbled brow trying not to break your leg. It’s that feeling of hope that something might turn up. When the waves do turn up and I see the guys jumping in, it’s always a toss whether I should shoot or surf because you don’t know when the next good swell will hit. It may even only work for an hour so it’s a real challenge, but I love it. What is the surf community like there? The surfing community is very humble around here and most are always willing to give advice. Either that or they rub it in that yesterday was epic whilst you were working (which is usually the case!). You will always get a smile or a hello in the water which, from past experiences, isn’t always the case up and down the country. What has been your most memorable moment or session? Me and my best mate had been surfing silky smooth water with perfect ground swell all day. We started talking about how lucky we are to have this place on our doorstep, then the locals turned up! A pod of dolphins started to perform acrobatic tricks around 20 meters from us for a good 10 minutes, and I didn’t have my camera but it didn’t matter because memories like that money can’t buy.